In thinking about this post I wanted to make sure that we lead with the words of Anita Baker, you know like how she said “Take my hand and lead me into love…” yes just like that. It’s definitely not a secret around these parts about how we(translation: often times me, I own it)ride hard for Anita Baker. From podcasts to retrospective posts, to being our Artist of the Month we have done it all over these past nine years. 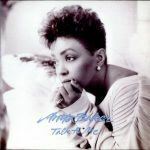 Before we go another futher(yes I’m real Southern with mine) if you click on this link you will be taken to an archive of all of our Anita Baker posts over the years. Now to the post at hand the intent was to post the entire tribute but BET has only provided Anita’s speech, Jamie Foxx’s medley and Ledisi’s performance of “Sweet Love”. I’ll keep my eyes peeled to see if the network will post Marsha Ambrosius and Yolanda Adams’ performances and will update. I’m trying to be a good steward on these digital streets and post content from the actual outlets because… that’s another story for another day. So with the time I have remaining before I take my seat, knowing that this may be the last time I get to profess my(okay who am I kidding I will continue to write about Anita Baker’s music) but I don’t want to let this moment in time pass without highlighting a few themes as to not only why I’ve loved the music of Anita Baker all these years but the importance of what her career means not only musically but culturally. Now for the in-depth, in-depth you can check out either one of these podcasts that we produced. Full disclosure I got a little misty-eyed when I realized last evening that the first podcast we ever did here at GFM was to mark the twenty-fifth anniversary of the release of Compositions I mean that totally makes sense given my Standom. Speaking of which I’m always transparent and I talk about this on the Rapture podcast I was initially not a fan. I like to point out that the age that I was in the Chapter 8 days and The Songstress era facilitated that missed opportunity for a number of reasons – the aformentioned age coupled with the fact that I lived in small city that did not have a radio station that played Black Music save for the college radio station for a few hours on Friday and Saturday nights, so I was late gang for certain. In 1986 when “Sweet Love” was released it didn’t seal the deal for me. I was indifferent in many ways. It wasn’t a full-on dislike and I was definitely intrigued by what I heard and saw but the deal just wasn’t sealed yet. It tooks months for me to get it but when I did… I was hooked. Anita Baker was just what the doctor ordered for me. I had spent the Summer of 1985 discovering and playing my parent’s record collection that had long been cast aside. The music of Dakota Staton, Perez Prado, Louis Prima, Nat Cole and on and on and on I devoured over that summer which primed me for music that melded the sound of Pop, Jazz Standards, Latin and the Blues. 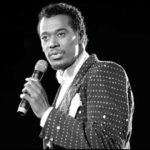 I didn’t understand it then and I didn’t understand when I was first presented with “Sweet Love” but that previous summer experience was really being priming for the music of Anita Baker. “Caught Up In The Rapture” sealed the deal and I never looked back. 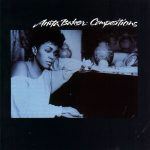 Anita Baker’s music has always had a place alongside whatever else I’ve added to my palette over these years. Sometimes you grow up and grow away from the music of your youth. 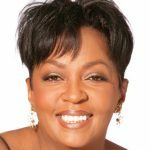 Anita Baker’s music was grown from the gate, but please let’s make this distinction – the music was grown never old. What you were presented with on an Anita Baker project was a classic standard. That’s the difference. I would be remiss if I did not take this opportunity to say as Anita Baker alluded to in her speech there are a lot of talented musicians out here. I believe that it is their(ours, everyone’s)duty to support one another. We have to be open to learn from one another but here’s my wish: I see so many of you can play. I see so many of you can sing. You sound amazing. 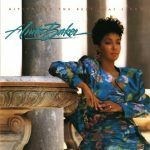 My wish lines up with what I think of when I think of Anita Baker – the songs. Don’t get me wrong it’s some folks out here doing it on the songwriting/production tip too but I’m talking about a challenge of trying to approach that standard Anita Baker set. Yes it’s partially a desire for an aesthetic that embraces classic song structure and instrumentation but not in a forced way, not in a “we’re being retro way look at us”. No, I’m talking about an authentic offering of relatable, digestable, melodious grown not old music that doesn’t rely on well-worn clichés, is sophisticated, is committed to exploring the many facets of love, a mood enhancer and general audience admittable. This is not a condemnation of anything else, it is a declaration that we have all of that other stuff already in spades, let’s get a few folks to do some homework and place some of that good, good in the marketplace influenced by the book of Anita Baker. I feel the same way too, now as I did then. Why thank you Linda! I’m a big fan too!